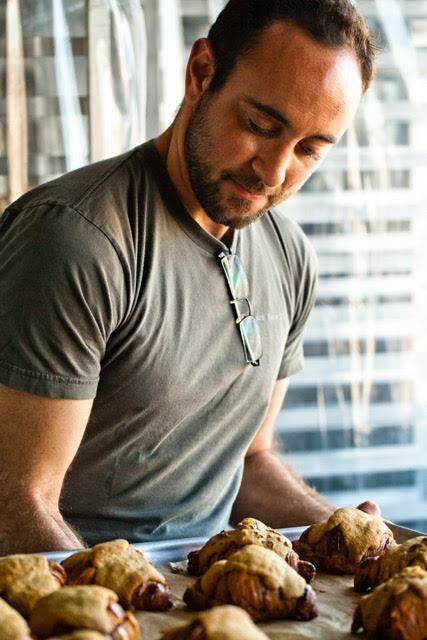 Pastry chef Greg Mindel was once a deli boy, an apprentice for famous chefs, and a sleepless croissant maniac - but now he’s the founder and owner of Neighbor Bakehouse, a flourishing bakery in San Francisco’s Dogpatch. How did working for free build his network? What did he need to get a bank loan, even though the bakery business was still young? He also explains why he sacrificed sleep for free warehouse rent, what qualities make a good leader, and which special ingredient will make your business stand out in the competition. Thank you Blue Apron for supporting our podcast! Check out this week’s menu and get your first three meals FREE - with FREE SHIPPING - by going to BlueApron.com/DreamJob. Don’t complain about doing the work you want to do. Be willing to work for free to learn. If you can show a couple years of growth, someone will want to invest in you. You have to make more than a few thousand croissants to really master it. If you don’t have your own space, rent or borrow it. The quality of the work will open all the doors. "Learn When to Delegate and When to Micromanage"
"7 Ways to Go From a Boss to a Leader"
"7 Rules for Entrepreneurs to Delegate Effectively"
SFGate, "Neighbor Bakehouse: San Francisco’s Best Croissants"
Eater SF, "Neighbor Bakehouse Has Gone Brick-and-Mortar in the Dogpatch"
Eater SF, "13 Killer Croissants in San Francisco"
MISE Magazine, "The Anatomy of a Modern Patisserie"